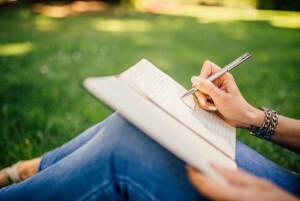 The past few years have seen a resurgence in creative pastimes, from adult colouring books to dot-to-dots, the rise of mindfulness has meant we’re a nation eager to carve out ways in which to spend some quiet time. Bible reading is no different. As a visual person, Bible reading was always a little daunting. Those blocks of small, black print I’d find my eyes glazing over, skipping bits and if I’m honest, switching off a bit. There has to be a better way for visual learners to get stuck into the Bible, right? Last year we shared all the ways you can get started with Bible journaling. From the bestselling, perennially popular NLT Inspire Bible to the stunning Jesus Calling hand lettering guide. As with all things, Bible Journaling has evolved now there are even more ways to unplug, unwind and unleash your creative side. 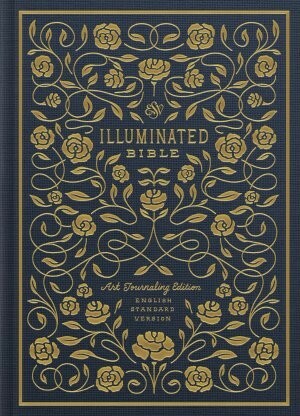 The stunning ESV Illuminated Bibles are ornately decorated with gold-design covers and inside they are just as beautiful, resplendent with full-page illustrations, hand lettered margin verses and illustrations by award winning artist, Dana Tanamchi. Printed on thick cream-coloured paper, the Bible's single-column text setting and wide margins provide generous space for additional notes, prayers, and designs—inviting readers to creatively engage with and reflect on the beauty of God's Word. The ESV Illuminated series now includes New Testament scripture journals, the full text of each New Testament book is presented alongside lightly dotted pages to provide plenty of space to creatively engage with the Word. The journals also feature beautiful gold-foil stamped covers with ornate designs and gold-ink illustrations throughout. They are available as individual journals or a full set, which will make a handsome addition to any bookshelf. If you’re looking for further guidance to develop your Bible journaling hobby, the Faith Journaling for the Inspired Artist guide provides a wide range of creative exercises to really stretch your artistic muscles. You'll not only learn how to expand your artistic horizons, but also discover how to give yourself permission to create personal artistic expressions of your faith. 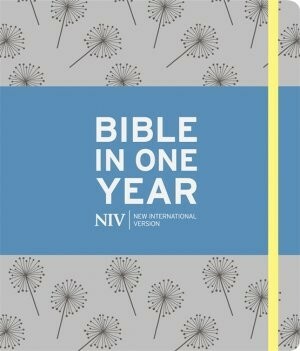 Perhaps you also work well under a time frame, therefore, the NIV Journalling Bible in One Year is perfect. Based on the popular Bible reading programme, this new NIV also gives you plenty of margin space to make notes, doodle, and joy downs thoughts and reflections from your time in God’s word. Don’t panic if you’re short on time, it will only take 15 minutes a day to read the whole Bible in one year. So some days might be set aside for reading amongst the busyness whereas others can be spent luxuriating, reflecting and journalling. You’ll need the right tools and the Foundations Bible Journaling Kit provides just that: everything you need to doodle, draw and depict. The kit includes a range of high-quality pens and pencils alongside tracing paper, graphic paper and a ruler/bookmark. Finally, Stickers For Bible Journaling contains 3 sheets of stunning pastel coloured illustrations, Bible verses and inspirational quotes to enhance your notes and drawings. So, all you need now is a hot drink, a comfortable seat and a little bit of time to spend in the word. Need some more inspiration? Both Pinterest and Instagram (#journalingBible) have hundreds of ideas from other people for beautiful designs, how-to-guides and more. Have you tried Bible journalling? Share your pictures with us on Twitter.